There was some great footage captured of a great event. If you weren’t able to attend, he’s your chance to see what’s stirring right here in Southeast Iowa! Women, Food and Agriculture Network held our 2014 annual conference,Women Doing Democracy: Building Grassroots Coalitions to Grow Healthy Food and Farming in Your Community, Friday, November 14, and Saturday, November 15 in Fairfield, IA. More than 200 people attended, making it our largest annual conference yet! Friday attendees enjoyed field tours, on-site intensives, local food meals, and a screening of Terra Firma followed by a panel discussion. On Saturday, keynote speaker and New York City native Karen Washington of Black Urban Growers opened the day with a presentation about Bridging the Urban-Rural Divide. Then participants chose from concurrent session options on topics including air and water monitoring, coalition-building, livestock confinement activism, tenant-landlady relations, resources for female beginning farmers (including veterans), the new farm bill, food safety regulations, and more. Diane Rosenberg of Jefferson County Farmers and Neighbors, Fairfield, spoke over lunch on Relationships: A Cornerstone of Anti-CAFO Advocacy. More workshops followed in the afternoon, and the conference closed with a community discussion facilitated by WFAN executive director Bridget Holcomb. This year’s farm crawl takes on an “urban” flavor with stops at three producers in Fairfield, Iowa. The event is open to the public with no admission fee. It is an open house format so stop in the order that is most convenient for you. Scott Timm is the Sustainability Coordinator for the City of Fairfield. He works in partnership with ISU Extension and Outreach. 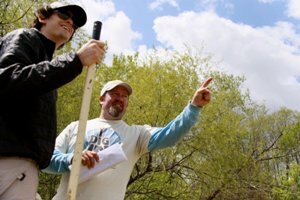 Timm planted the Community Orchard with 500 volunteers on Earth Day in 2012. The Orchard serves as a shared learning center and food source for the Fairfield community. Come and see the future of our city! You can also tour the drip irrigation system in this unique orchard, and Scott might just let you help him with weeding if you ask. 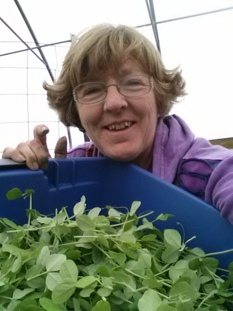 The Farm to School Greenhouse Project is part of a USDA sponsored initiative aimed at bringing fresher, locally grown foods to school lunch menus all year. The greenhouse offers an educa-tional experience where students learn about sustainable horticulture & grow their food. The greenhouse, located in the backyard of the Schaus Vorhies Kleaning business, recycles heat from the company to grow food for the community. Jan Swinton has been the leader of this one-of –a-kind project. 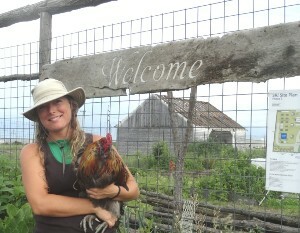 She is the local food coordinator at the Path-finders RC&D office in Fairfield. Stop by and see where we are actu-ally growing food for the public school lunch menus AND help plant the straw-berry beds.